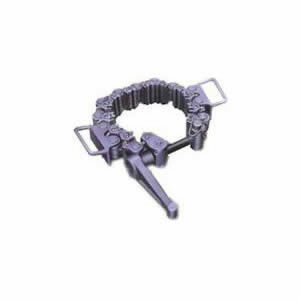 Our safety clamp are oil drilling tools that are used to handle flush joint pipes and drill collars. We have two models of drilling safety clamps, which are WA-C and WA-T. Model WA-C safety slips are suitable for pipes from 31/2 to 155/8inch (88.9-396.9mm) O.D. and Model WA-T safety slips are for pipes from 11/8 to 41/2(28.6-114.3mm) O.D. Rugao Yaou Company is a drilling safety clamp manufacturer and supplier in China. Some of our specialized products include oil drilling tools, well cement tools, workover tools, and oil production tools. Due to their high quality and affordable prices, our oil drilling equipment is increasingly used by customers in Russia, America, Australia, India, Brazil, among other countries. We are located in Rugao, Jiangsu, where we have easy access to sea ports, airports and highways. This allows us to conveniently and cheaply transport our products.